The Morar Hotel is a friendly family owned hotel situated in the center of Morar, a small village just three miles from Mallaig. 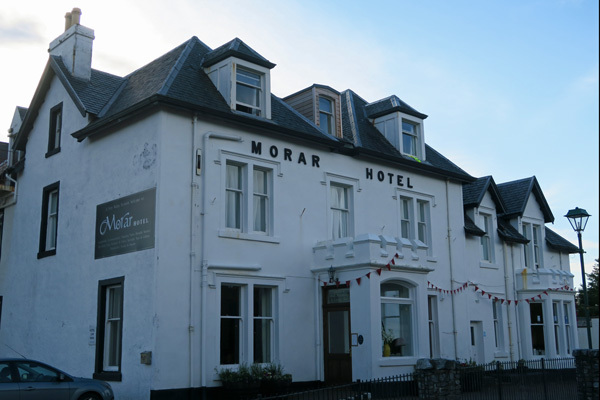 The Morar Hotel has spectacular views of The Silver Sands and across the sea to Rum, Eigg and The Small Isles and is well positioned for exploring the West of Lochaber. The Morar Hotel has 30 en-suite bedrooms with colour TV, wifi and tea making facilities. The Silver Sands restaurant boasts some of the most stunning views in Scotland and uses only the freshest, finest ingredients, often featuring fresh fish from the nearby fishing port of Mallaig.